As more states legalize marijuana, it’s becoming a growing issue for the trucking industry. Recreational marijuana has been legal in Colorado since 2014, and drug tests indicate more drivers and job applicants are using the substance. Even as more trucking companies and commercial driver’s license schools are telling candidates not to fill out applications if they’re going to test positive, failure rates are still as high as 60 percent, said Greg Fulton, president of the Colorado Motor Carriers Assn. Recreational marijuana is now legal in Alaska, California, Maine, Massachusetts, Nevada, Oregon, Washington and the District of Columbia. Medical marijuana is also legal in 29 states and the District of Columbia, and a 2016 survey from Gallup revealed that 13 percent of Americans said they use marijuana, up from only 7 percent in 2013. Still, trucking companies won’t be changing their zero-tolerance policies anytime soon, in part because marijuana remains illegal under federal law and Department of Transportation regulation. Recreational marijuana sales in California are set to begin in early– 2018, and trucking companies have no intention of changing their policies. The California Trucking Assn. advises all current and prospective commercial drivers that federal law prohibiting the use of marijuana is still in full effect, no matter what changes have occurred in state law, said Shawn Yadon, chief executive of the trade group. Federal law prohibits both medical and recreational consumption. This means a driver who uses marijuana legally in a state like Colorado or Alaska could be at risk of termination should they test positive for the drug. That’s different from alcohol. Truck drivers may be able to have a couple of drinks and be cleared to drive the following day as alcohol leaves the body faster. Drivers cannot have a blood alcohol concentration of 0.02 percent or greater, according to a Transportation Department handbook. Yet marijuana will be off limits for the foreseeable future. The Transportation Department remains the chief regulator on issues regarding controlled-substance testing for the trucking industry, Yadon said. Shawn Yadon, chief executive of the California Trucking Assn. “To this end, the use of marijuana for medicinal or recreational purposes by any safety-sensitive employee subject to drug testing continues to be forbidden, regardless of whether its use is legal within a state,” he said. A new recreational marijuana law is also set to go into effect in February 2018 in Maine. Though there has been some confusion with wording in the law indicating employers cannot penalize employees for a positive marijuana test, the law is still clear for drivers. Companies are still viewing the matter with “zero tolerance” policies, but the confusion is causing some workers to take it as a legal green light to consume marijuana, said Brian Parke, president and chief executive of the Maine Motor Transport Assn. “My understanding is that it is impacting some companies in their hiring, because not every driver understands that even if they have a prescription for medical marijuana, it doesn’t trump federal regulations. There’s some confusion,” Parke said. 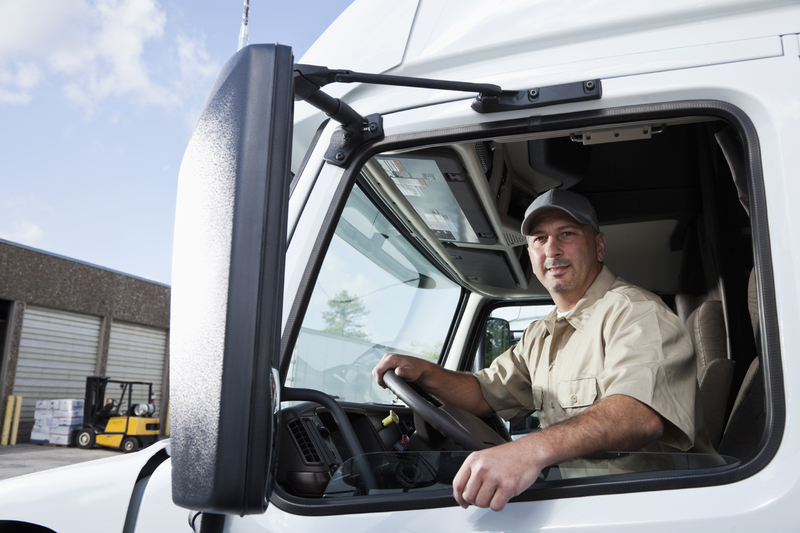 All trucking companies operating under Transportation Department regulations continue to use urinalysis for pre- and post-employment drug screening. The Transportation Department clarified in June that despite state laws, its workplace drug and alcohol testing rule – Alcohol Testing Regulation 49 CFR Part 40 at 40.15(e) – does not authorize “medical marijuana” to be a valid medical explanation for a transportation employee’s positive drug result. Employers in non-Transportation Department roles have been loosening their drug testing standards. In the past two years, 7 percent of employers have dropped marijuana from their pre-screening drug tests, while 3 percent have dropped it from all drug testing. But trucking companies are going in the other direction, with more communications with drivers about the use of marijuana, and they are training supervisors to better identify impairment, Fulton said. “I think almost all of our companies have revisited their drug and alcohol policies, and brought those more up to standards, as they see, based on this new environment,” he said. Unlike with alcohol testing, there are no agreed-upon scientifically –validated testing methods to indicate marijuana impairment at a specific point in time. So even employers who want to give their workers the freedom to use a legal substance on their personal time have no valid means to accurately test for impairment on the job. THC, the active ingredient in marijuana, is processed differently than alcohol and can stay in the system for up to a month. In Colorado and Washington, a person can be charged with a DUI if it’s revealed by a blood test that there are THC concentrations of 5ng/ml or higher. In Oregon, authorities may use officer observation and a urine test to determine if a driver is impaired. Testing is a major issue, said Kathryn Russo, an attorney at the law firm of Jackson Lewis in Melville, N.Y., who specializes in workplace drug policies. “That’s the big controversy because all employers have to go by is a drug test. And if you test positive, that means you have it in your system, even if you used it a week ago,” Russo said. A few companies are already working on a breathalyzer-type device to measure marijuana impairment. As more states legalize marijuana, there will be a tipping point or “critical mass” at which the Transportation Department will be pressured to address the issue and determine better testing methods, Fulton said. More acceptance of marijuana will force regulators’ hands into determining an “acceptable” level of marijuana chemicals in the system, much as a person can have an acceptable level of alcohol in their system, he said. 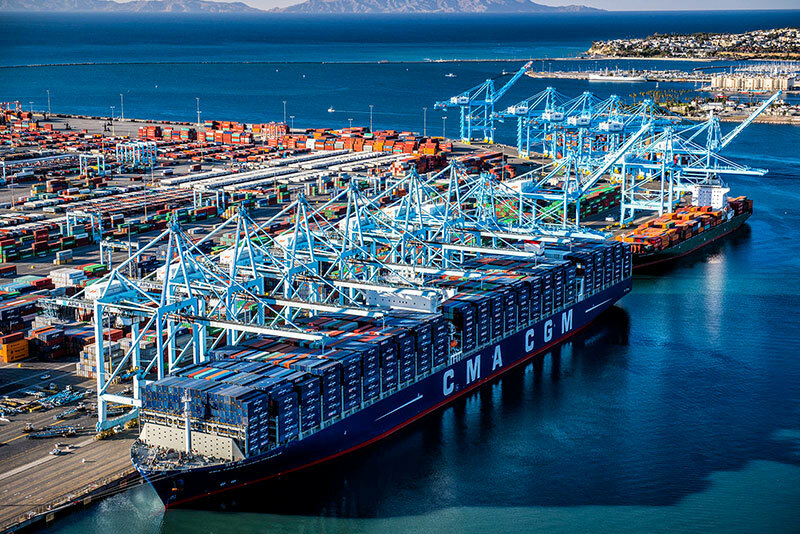 Yet the Transportation Department is unable to change its position unless the Drug Enforcement Administration or Congress downgrades marijuana to a Schedule II drug. Marijuana is currently considered a Schedule I drug under the Controlled Substances Act, which puts it in the same category as heroin and LSD. The DEA reevaluated the classification of marijuana last year but kept it in Schedule I. The result hinged on marijuana having “no currently accepted medical use in treatment in the United States” and remains vulnerable to abuse, said DEA chief Chuck Rosenberg. Until federal authorities reclassify marijuana, it will remain illegal under federal law and Transportation Department regulations, Russo said. “I still think it’s a long way off. You can’t do marijuana ever, and even if you have a medical marijuana card, too bad. You’re not going to get a job as a DOT driver,” she said. Now I guess they consider Me a “Marijuana User” Comunism,Hmmm? The real problem is two folded . First is the fact that it is being legalized in do many states and actually may be five states away from federally being uncriminalized . So either way in the future changes will have to be made . The other issue is with urine test themselves. Fact is most drug users are that are in the industry ARE DRIVING HIGH and still beating the test . Fact is marijuana is THE ONLY DRUG that generally stays in your system more than 48 hours . So beating a random with most drugs is in the drivers favor . Second even still they wait till after 5 pm Friday and party the night away with any host of drugs and know all the need to do is pump up with water all weekend and they can pass a random at 9 am Monday morning. And everyone in the industry IS AWARE OF THIS . The third issue is one like I faced . I will finally be getting back in a truck but six months ago I was bar hopping in Daytona Beach and got a drink not meant for me . Now it’s still not known what all was in that drink but we know a THC product was definitely in it , since I failed a random . What’s important to note though is not only that I’ve never failed a test but I also never failed a hair follicle test . Hair follicle test ingested actually is the only way you can test for A DRUG ADDICT . A urine test does not do this and the reason is as simple as my own situation. When you come in contact with a drug , for what ever reason, at a single time the hair follicle test proves this . Your test will show a spike and that’s it . A drug user on the other hand will show multiple spikes or just steady elevation in numbers found in the hair . This is the one major change that needs to be made because drug testing is supposed to weed out regular drug users for public safety and not punish someone who goes to a party and gets a tainted drink or even an edible. The other issue is it’s not JUST PARTY Atmospheres where people are being exposed to these new THC Products unknowingly. People can go to a country music concert and get drunk and not know they were exposed because of how the effects are actually similar to drinking . The issue also involves a side effect . A lot of people that are exposed to THC products think they have food poisoning and may sleep it off before the actual high take effects . Therefore they never even know it was anything more than a bug . Then there’s the fact of how many just don’t know what’s wrong at all . For those that think that’s not possible just look up the story of police chief that was drugged in his own home with a THC laced cake . Cops are trained to know when people are under the influence but he could not figure out what was happening to him . He drove to police station ,( which do I need to point out what would have happened to any of us if we drove to police station ? ) for help and they rushed him to hospital and a toxicology report showed it was THC . This even happened at a church . So fact is like most people who have access to guns , people who have access to THC products do not generally have nefarious intentions… But that small percentage that does cause ALL OF US PROBLEMS . January, 2018. In Illinois, in order to get a medical marijuana card, you must surrender your CDL license. So i am to continue to take prescribed narcotics to deal with my chronic pain because thats legal under DOT rules.These drugs are not good for the human body and destroying my liver. The laws will change on marijuana and the DOT when companies can no longer get drivers and its costing corporations money.Many companies can not get drivers now. DOT needs to evolve their drug testing methods for cannabis to address ACTIVE THC not for dormant inactive metabolites in urine samples that do not effect a drivers ability to safely perform their job. These are poison policies that are unfair and violate an individuals right to privacy and do more harm than good. DOT should not destroy someone’s career for using cannabis off the clock as long as they are not high when they show up for work. No hangovers or significant side effects yet these outdated policies push drivers to do more harmful drugs and alcohol that leave them hung over and irritable the next day which is not a good combination especially when operating a commercial vehicle. Sorry, trucking companies. Legal weed is here to stay. And if you want to stay in business, you either have to accept it, or pay your “clean” drivers the pay they deserve instead of $#*&ing them over every chance you get. Either way, this is a problem of your own making. Let’s see which carriers are so short-sighted they fail to change. And don’t tell me “it’s the Fed.” You have a powerful lobby–powerful enough to get environmental regulations reduced for your filthy trucks. You’d better get the hell on board with legal pot, invent driverless trucks, or close your $#@&! * doors. You wrote a good article about this topic.thank you posting your good article. i like to this article. Did you know that fmcsa employee drug testing is illegal under the federal statutory requirements in 49 cfr 382.601 b1 unless the employer first provides the employee with a written policy BEFORE testing. Meaning the employer DOT, SAFETY SENISTIVE, COVERED DRIVER all the hooplaw talk that IT IS REQUIRED< MANDATED, yes it is, but FIRST the employer must fulfill the FMCSA statutory requirement to test in the first place, meaning a written policy must be given to an employee first, otherwise the test is null and void…it will an illegal test done in violation of the federal regulations. Thank you. As a member of the general public, I am grateful that the CDL process requires testing for drugs. 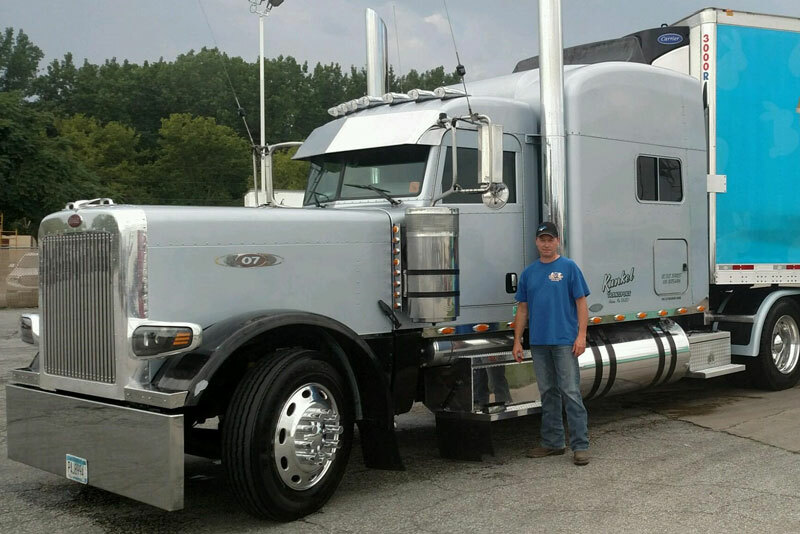 For those who are truckers and believe they are no different than the general population of drivers, you should be reminded that you are driving massive rigs, with a payload, at high speeds. You are not driving a family vehicle transporting children to a sports activity. A physician friend of mine does CDL screens and has had several men who tried to scam the system with fake urine — pathetic! Anything to avoid making adult decisions and showing respect for others on the roadways. THC not only has the immediate impact of making the consumer high but it is stored long term in the brain and modern studies are showing it impairs mental processing operations in the brain. It isn’t JUST about being stoned! Traffic crashes in Colorado are UP since Colorado legalized marijuana including traffic deaths caused by marijuana impaired drivers. The non-commercial drivers are driving INTO oncoming 18 wheeler rigs — typically the non-commericial vehicle is destroyed but the big rigs aren’t. However, those big rigs are damaged enough to put the rigs out of commission (costing the driver and the company $$), and cost of repair to their rigs. Truckers should be peeved that these people are impacting their insurance rates as well. (My auto insurance premiums in 2018 in Colorado climbed more than 12% because of the problems of the marijuana impaired drivers with their accidents.) We have had several 18 wheeler rigs hauling their lawful goods being good drivers making an honest living for themselves and family when a stoner slammed into them head on — truckers injured and rigs rolled — cargo lost as it spilled out upon the roadway. To all of you truckers who have no desire to consume marijuana — a big thank you. For the truckers complaining that they want to use marijuana AND have a CDL — find something better to do than doing or wanting to be a pothead ….in your none trucking time go ice skating, go fishing, do some gardening…get high off of something that doesn’t impair your mind.